Jamshedpur, Sept. 30: It was a lecture straight from the heart on what it takes to establish and run a sprawling $1.3 billion group. 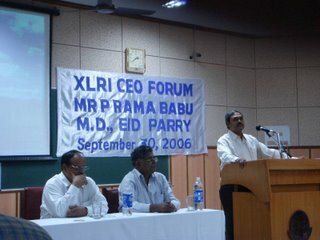 P. Rama Babu, managing director of EID Parry and the president-elect of India’s premier industrial association, Indian Sugar Mills Association, today addressed the students of XLRI as part of the B-school’s CEO Forum. Babu — considered a pioneer in human resource and industrial relation practices — is known as a turnaround champion and a multi-disciplinary expert. 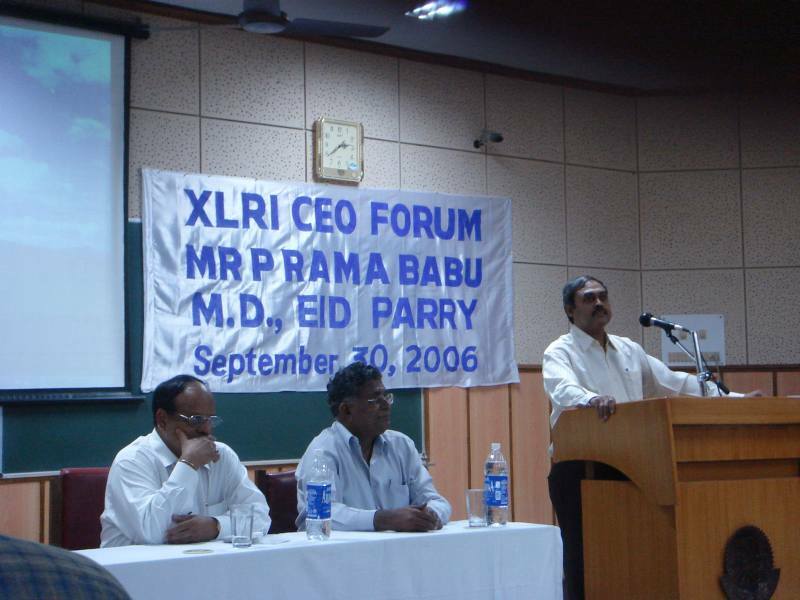 His credit to fame was that he went on from being a HR chief to turn around EID Parry from a 40-crore turnover company to a 700-crore turnover company. Though a mere two-hour session would not do justice to the students, the pupils said they got a glimpse into the characteristics that make a “true management guru”. 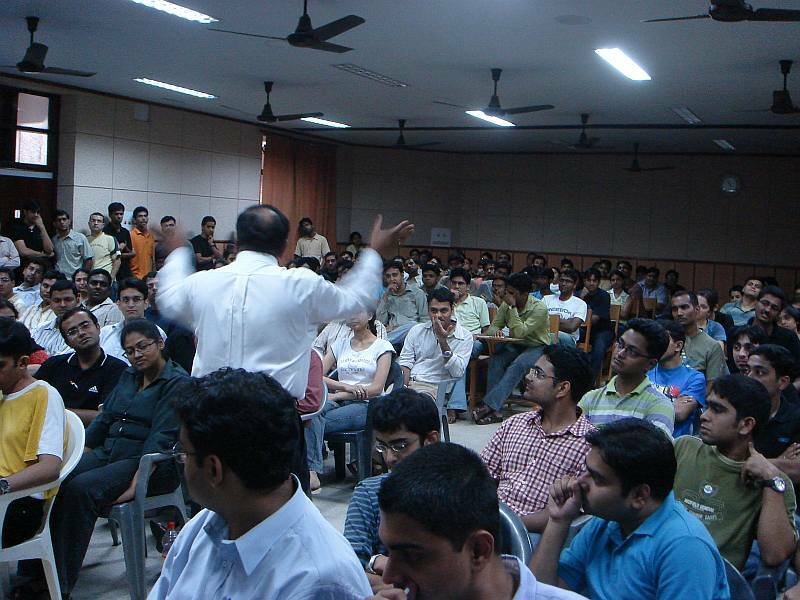 Today, he advised XLRI students to take decisions “from the heart by using just plain reasoning”. Ethics is one quality, he said, that is a pillar of managerial excellence, and only by pursuing it and by providing the highest job satisfaction to employees can an organisation survive. 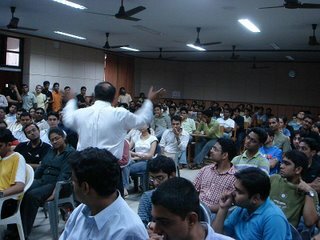 He also emphasised the importance of using various managerial systems to run huge organisations. Entrepreneurial spirit is high among today’s generation, especially among graduates, he observed, and this will go a long way in building a great nation. He asked the aspiring managers to “maintain a perfect balance between gut-feel and data” before taking decisions, instead of basing them “purely on ratios and graphs”.